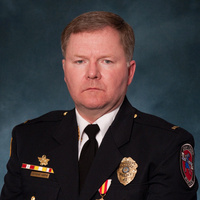 Lt. Brian Murphy, Oak Creek (Wisconsin) Police Department (Ret.) draws on his own experience responding to a mass shooting. Murphy will discuss the importance of training and how what you do every day could save your life. Murphy was the first officer on the scene on Aug. 5, 2012, after a 40-year-old gunman fatally shot six people and wounded four others at a Sikh Temple. He will go through the incident in detail showing actual video footage and lessons learned. Murphy later earned the Congressional Badge of Bravery and Presidential Medal of Valor. Doors open at 5 p.m., talk begins at 5:30 p.m. Light refreshments will be served. Free admission, but ticket required via the campus box office system.